Attacks of dizziness may come on suddenly or after a short period of tinnitus or muffled hearing. Some people have single attacks of dizziness once in a while. Others may have many attacks close together over several days. Some people with Meniere's disease have "drop attacks" during which the dizziness is so bad they lose their balance and fall. Scientists don't yet know the cause. 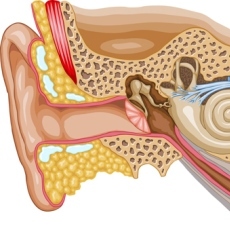 They think that it has to do with the fluid levels or the mixing of fluids in the canals of your inner ear. Doctors diagnose it based on a physical exam and your symptoms. A hearing test can check to see how it has affected your hearing. There is no cure. Treatments include medicines to control dizziness, limiting salt in your diet, and taking water pills. A device that fits into the outer ear and delivers air pulses to the middle ear can help. Severe cases may require surgery.